Dr. Mala S. Bagiya is awarded with the Young Researcher Award 2018 by Ministry of Earth Sciences. 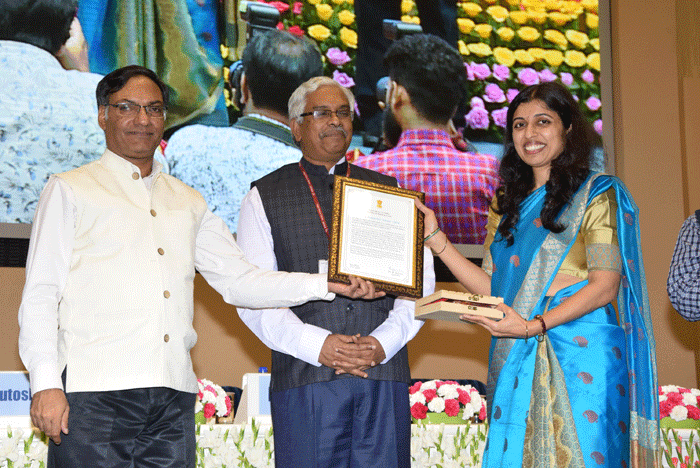 As a mark of recognizing the technical excellence in the Ministry of Earth Sciences, Young Researcher Awards are given to Scientists/Engineers who have made significant contribution in the field of Earth Sciences. This award presented to Dr. Mala on 27th July, the Earth Sciences Foundation Day of the MOES, at Vigyan Bhavan, New Delhi.